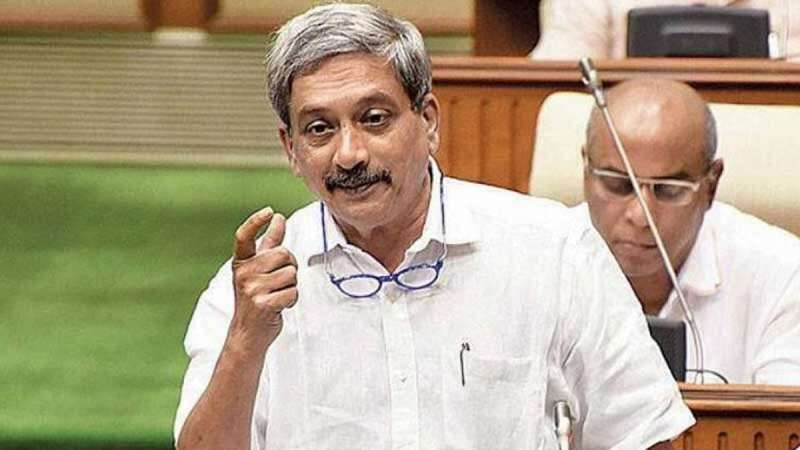 Panaji : Four-time Goa Chief Minister and former defence minister Manohar Parrikar passed away at the age of 63 after losing battle against pancreatic cancer. He took his last breath at his son's residence in Goa. Manohar Parrikar is better known for his impeccable record and simple lifestyle. Often seen in his trademark bush shirts and riding a scooter, he had an image that helped people find him accessible. Manohar Parrikar was not one for "susegad", a term that describes the relaxed, laid-back Goan culture for which his state is so well-known. "I am not susegad! I work 16-18 hours a day," Mr Parrikar had told NDTV over four years ago. He was also seen as BJP's most successful chief minister, having established the party in a state that has a substantial Christian vote. He also enjoyed the support of the BJP's ideological mentor, the Rashtriya Swayamsevak Sangh. Manohar Parrikar did his graduation in metallurgical engineering from IIT-Bombay in 1978, he was a batchmate of technocrat Nandan Nilekani. He was the first IIT alumnus to serve as the legislator of a state and later, chief minister. Born in Mapusa in 1955 when the state was still under Portuguese control, Mr Parrikar grew up in the Goan village of Parra and later studied at the Loyola High School in Margao. Mr Parrikar was a father of two sons, his wife Medha died in 2000 of cancer. It was because of his clean record as Chief Minister, his tech background and strong decision-making skills that he was persuaded to join PM Modi's cabinet as Defence Minister in 2014. Mr Parrikar admitted that he had moved to Delhi reluctantly. Three years later, he returned to his home state as Chief Minister after several smaller parties said they would support the BJP in Goa on condition that Mr Parrikar led the government. Mr Parrikar came back, announcing that he missed the Goan staple fish and rice. One year after he resumed work for Goa, the reports came in that he is seriously unwell. On March 17, 2019, he took his last breath.